← Going, going, GONE! Just four days left…. 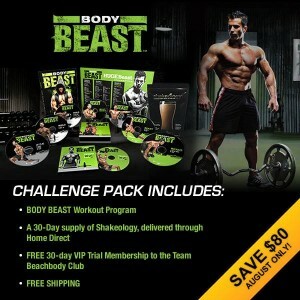 Sale on TurboFire and Body Beast challenge packs ends at end of August! Great deals going on for the month of August, due to end soon! The workout program itself, which contains all of the DVDs with the exercises, workout schedules, meal plans, and more! Shakeology in your choice of flavor, which will give you a great head start on eating healthier. Shakeology is your daily dose of dense nutrition, complete with prebiotics, probiotics, digestive enzymes, your protein of choice (whey or vegan blend–soy free! ), and multiple supplements that will help you to perform at your best. FREE fitness coaching to give you the one-on-one support and motivation you need! I will help you every step of the way and guide you towards making your fitness goals. Body Beast is a program I haven’t tried yet but I know of many people who have done it–including vegans and vegetarians!–and they all love it. It’s a fantastic muscle building program that will challenge and strength you. For more information on the Body Beast workout program and challenge pack or the TurboFire workout program and challenge pack, click on the appropriate image below. 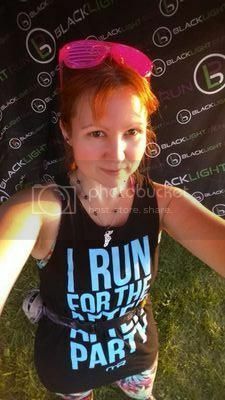 Posted on August 22, 2013, in Body Beast, Turbo Fire and tagged Body Beast, exercise, fitness, fitness challenge, fitness coaching, fitness goals, great deals, Shakeology, Turbo Fire. Bookmark the permalink. 574Leave a Commenthttp%3A%2F%2Fwww.teaaddictedgeek.com%2F%3Fp%3D574Sale+on+TurboFire+and+Body+Beast+challenge+packs+ends+at+end+of+August%212013-08-22+15%3A40%3A52Andrea+Bermanhttp%3A%2F%2Fwww.teaaddictedgeek.com%2F%3Fp%3D574.